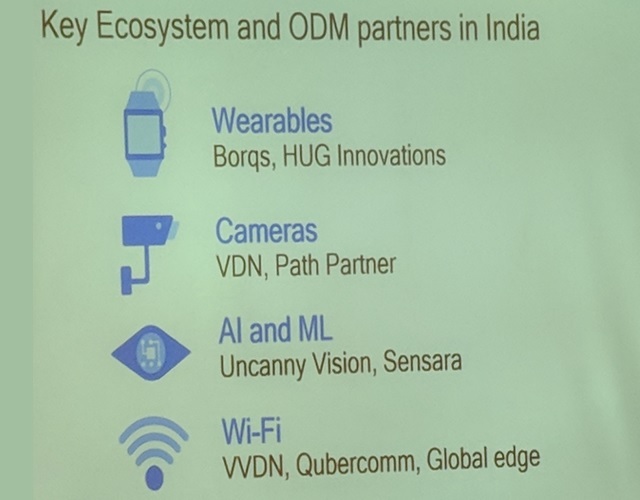 At the Qualcomm IoT Day 2018 event today, the chipmaker highlighted the company’s vision about the arrival of 5G, IoT and smart home devices in India, and how they will impact domains ranging from personal convenience to agriculture, logistics, vehicles and a lot more. The company revealed that it is working with multiple companies in India and across the globe for products such as wearables and cameras as well as technologies such as AI, Machine Learning and WiFi. Qualcomm divulged that IoT is an economy in itself which is still in its early stages of development, and will soon become a multi-billion dollar business avenue as the adoption of faster connectivity standards such as 5G and wireless WiFi options like ‘801.11ax’ for powering smart home devices goes up. As far as the deployment of 5G is concerned, Qualcomm revealed that it is working with Airspan to deploy small cells with Qualcomm chips onboard to overcome infrastructure challenges and that they will also solve the issue of network densification, acting as a bridge between 4G and 5G. Counterpoint Analyst, Neil Shah, who was also among the key speakers at the event, added that the IoT ecosystem in India is still in its nascent stage due to lack of robust network infrastructure. But on the bright side, he speculated that by 2025, the concept of cellular handsets will morph into cellular IoT, and 5G handsets will outnumber 4G devices by then. Even though Qualcomm did not reveal the name of telecom operators which are leading the 5G race in India and the extent of its rollout, the company did hint that all major companies are vying to jump the 5G bandwagon as soon as possible. The chipmaker revealed that a wide range of hardware and software solutions from renowned brands such as wearables, voice and music device, home control and automation solutions, robots and drones, home entertainment, etc. with Qualcomm technology onboard will soon arrive in India. 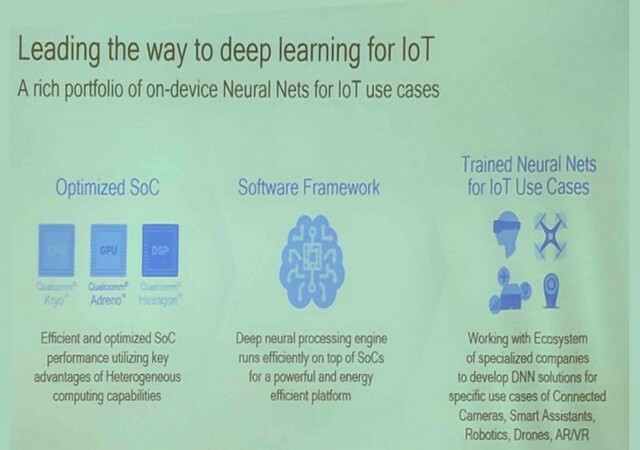 Moreover, the Qualcomm is also working with another company named Borqs, which develops enterprise-class hardware solutions as well as consumer devices such as device trackers, personal emergency devices, etc. which come with embedded Qualcomm chips. Many of these smart devices, which are fully designed and manufactured in India, will soon be commercially available to the Indian consumers. Qualcomm claims that the company envisions a truly wireless future for connected smart home devices, and one of the elements critical to achieving that goal is the 60GHz WiFi 802.11ad standard, which is basically a high-efficiency WiFi mesh for high-density connectivity to provide improved coverage. 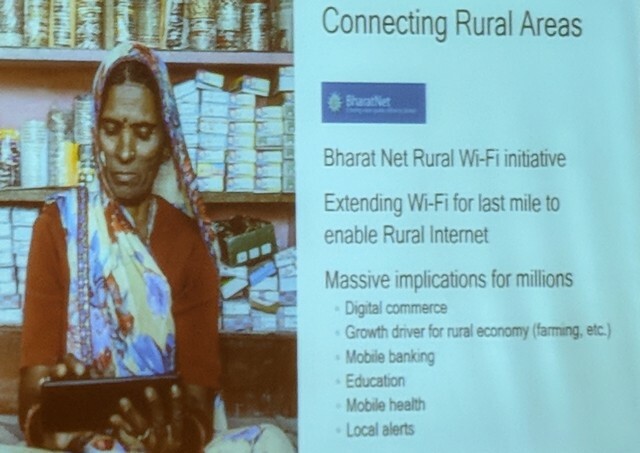 The company also revealed that around 90% of the WiFi mesh hardware across the globe employ Qualcomm components, and such mesh networks will lay the foundation of smart city projects that will give a huge push to the IoT ecosystem in India.